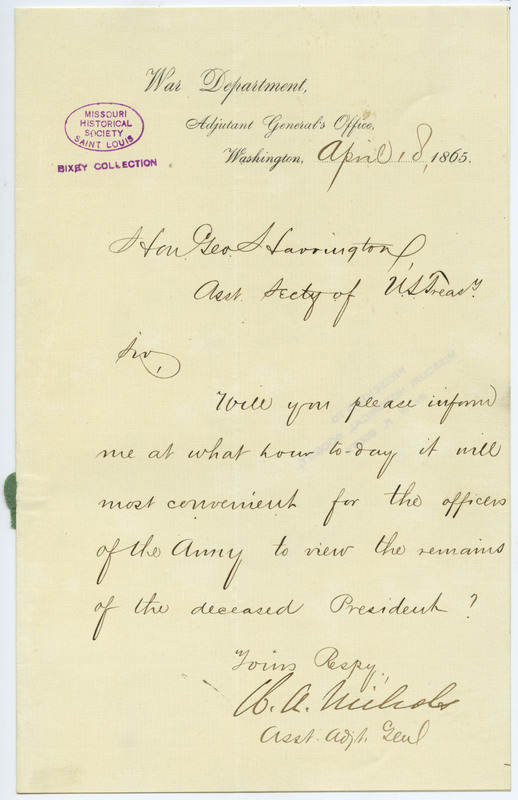 States, "Will you please inform me at what hour to-day it will most convenient for the officers of the Army to view the remains of the deceased President. . . ."